“I’m not a good person.” Recently, ABC released new previews for their upcoming TV show The Gospel of Kevin. 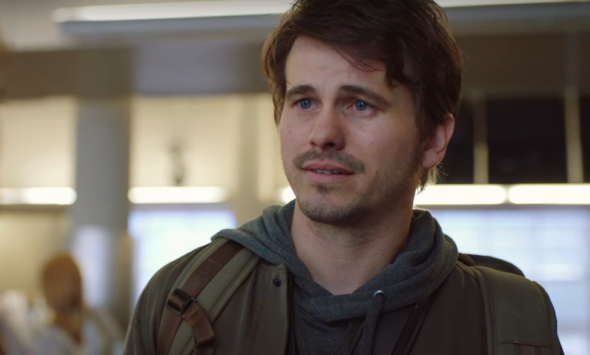 The dramedy stars Jason Ritter as Kevin Finn, “a cluelessly self-serving person” who is tasked with saving the world by a mysterious, celestial being. The cast also includes JoAnna Garcia Swisher, J. August Richards, Chloe East, Dustin Ybarra, and India de Beaufort. The Gospel of Kevin is slated to debut on ABC this fall. Cristela Alonzo was originally cast in the TV show, but she recently announced on Twitter that her role is being recast. What do you think? Are you a fan of Jason Ritter? Will you check out The Gospel of Kevin? OOPS Wrong Ritter! Lol. That was Tyler. All the same, I’ll check it out. I enjoyed him on the cancelled show “The McCarthys”, I’ll check it out. I’ll check it out for sure. Looks like a bit of a flashback to Joan of Arcadia. Think that’s the first series I noticed him in. N<he's not his dad; but he's the closest we're going to get. I still miss John. His son looks a lot like him. Looks like kept the craft in the family.